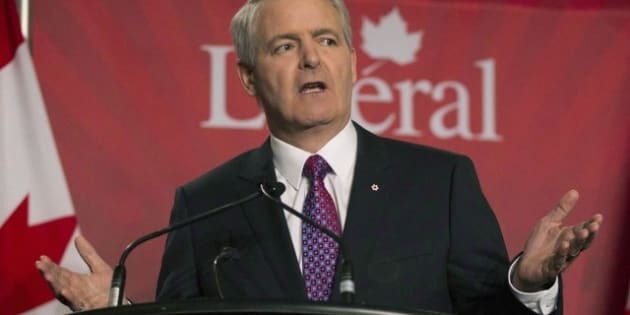 Marc Garneau's decision today to withdraw from the Liberal leadership race was not unexpected. If anything, the only surprise was that Garneau stayed in the race as long as he did. Perhaps he hoped for a last-minute shift in support, or that Liberals would wake up and see what he had to offer? If that was the case he was wasting his time. Marc Garneau's decision today to withdraw from the Liberal leadership race was not unexpected. His hard-hitting attacks on the front-runner (even challenging Trudeau to a one-on-one debate) over the last few weeks indicated that either he or his team was becoming increasingly frustrated that they could not move ahead, build additional support and overtake Justin Trudeau. If anything, the only surprise was that Garneau stayed in the race as long as he did. Perhaps he hoped for a last-minute shift in support, or that Liberals would wake up and see what he had to offer? If that was the case he was wasting his time. We also have to keep in mind that a candidate's level of support offers an indication into their ability to raise campaign funds; in this case Garneau couldn't come close to Trudeau. If he couldn't close the gap on Trudeau, then it was better for him to step aside now instead of adding on expenses that would have to be paid up once the Liberal race was over. Garneau was in second place and while far behind the frontrunner, he had a solid lead over his over rivals. The big question becomes what do the other contenders do now? None of the other leadership hopefuls had a chance of stopping Trudeau. Even if they all rallied around one person and attracted a lot of Garneau's former supporters it is unlikely they could come close to stopping him. Trudeau's victory is pretty much guaranteed. Do the other candidates stay in or do they join the Trudeau juggernaut? Do they stay in and fight to the bitter end? Do they stand on their principles and risk humiliation when the votes are counted? Or do they join Garneau and capitulate now? The Liberals have been through this scenario before -- seeking and finding a new messiah to lead them back from the political wilderness. First it was Michael Ignatieff and now Justin Trudeau gets cast in that role. The problem for both Ignatieff and now Trudeau is how do you measure up to expectations? One of the keys to success in politics is to under-promise and over-perform. When everyone has such high expectations of you, it's very easy to leave them disappointed. If the NDP and Conservatives and the Conservatives had any doubt as to whom to target, they can take the gloves off now. All the more so as it is obvious that Trudeau does have the ability to gather supporters. Like him or not he has the potential to be a formidable opponent and challenger in the next federal election it is in their best interests to try to take him down before 2015. Either way, following politics in Canada is becoming interesting again.